Hurry! You’re not being fooled! Nobody is pulling a fast one. But you need to act fast because the fact is that today is the last day to e-file ACA Form 1095. This means that you must send this form in to the IRS today, or you could face penalties from the IRS. I thought the ACA was struck down. Is the ACA 1095 Form still required? With so many recent changes, keeping track of requirements around the Affordable Care Act can get really confusing. Running your business is already complicated enough, and you certainly want to stay on the right side of the law, but it seems like it gets more and more difficult every year. Let’s clear some of the clouds around ACA Form 1095 so you can figure out what you need to do. The bottom line is actually pretty clear. If you employ at least 50 people full-time, you are labeled as an applicable large employer (ALE). You are required to submit ACA Form 1095, and the deadline for e-filing is today. The confusion has come from a decision that came out of the Northern District of Texas. A Federal Judge there ruled that, without a fine for the individual mandate, the entire law is unconstitutional. Seems pretty cut and dry. However, one judge in Texas cannot make a decision on an act that is in place nationwide. It takes the Supreme Court to do that, and until they address it, the ACA is still in effect across the country. As an ALE, you have to meet a minimum standard for providing affordable health insurance to your employees. The only thing that has changed is the amounts and types of penalties - none of the general requirements surrounding ACA compliance and reporting are different. In other words, despite all the changes over the last year, you, as an employer (if you employ 50 people or more), are still required to provide health insurance to your employees, and to prove that you do. How do I file this form fast? Here’s the easy part. 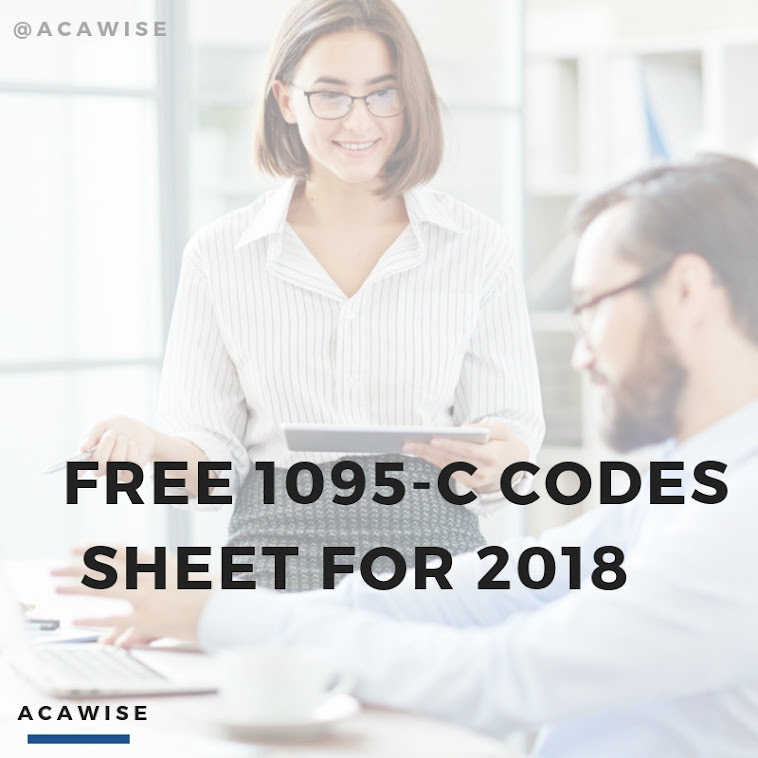 Once you’ve determined whether or not you need to file ACA Form 1095, ACAwise is here to help! We offer a service that lets you quickly and easily file and stay tax compliant! Upload employee & benefits details. It all starts when you create your free account with ACAwise! Once you do, we’ll walk you through the process, making sure you are able to accurately complete your Form 1095.